The Water Is So Cold, Are Lifeguards Needed? Marquette, the city, is knock me out beautiful. 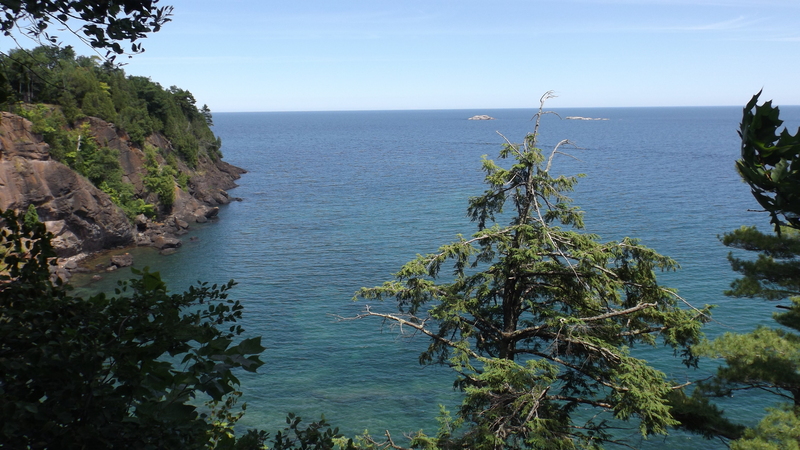 It’s built along Lake Superior with running trails, parks, and museums right there on the water. 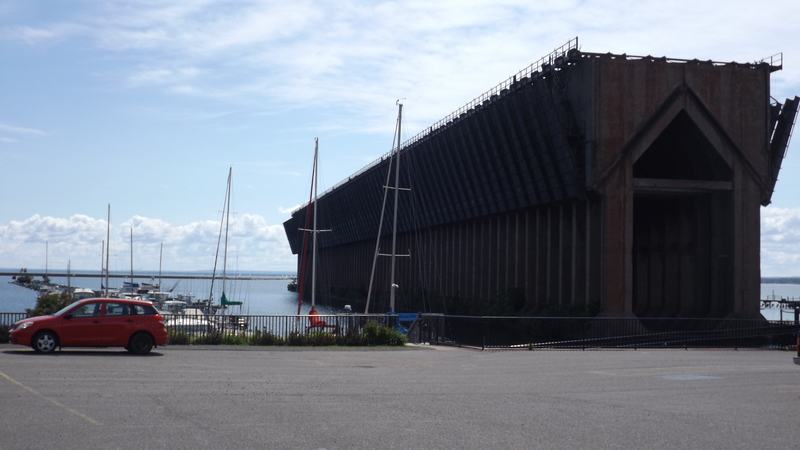 We saw the taconite docks, where railcars drop semi-processed iron ore into ships bound for the furnaces beyond the St. Loo locks. I saw the Maritime Museum and all its shipwrecks, including the one made famous by that old Canadian, Gordon Lightfoot. The ship Edmund Fitzgerald had a long history of minor accidents, all of which cumulatively weakened her, despite repairs. 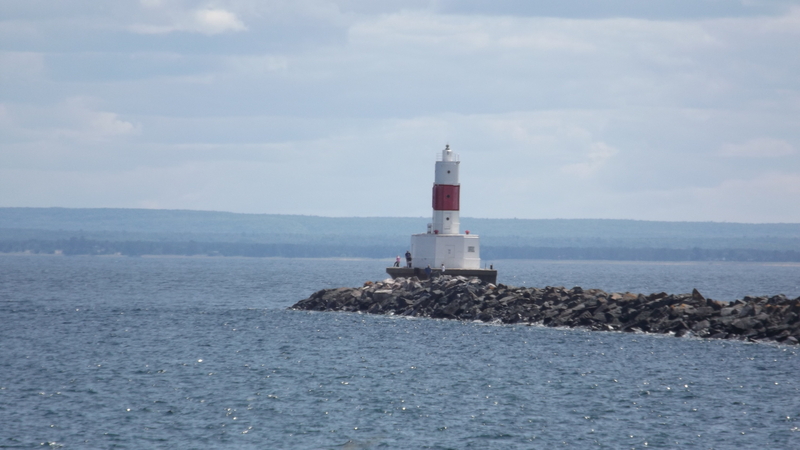 She was inspected by the Coast Guard a few weeks before the big storm, and the owners were informed that her license to operate would be revoked next spring unless major repairs were made to the hold covers. Management chose to make one last haul without those repairs. There were delays in loading after the weather turned cold very early in 1975. The frozen taconite had to be pried and hammered out of the railcars. That took an extra six days, proving fatal to her crew. Twenty minutes out of harbor the storm began. It only got worse. Several hours later the ship disappeared. Theories are that she broke up, or that huge waves flooded faulty hold doors, or that a really big wave capsized this 500’ ship. It hasn’t been found to this day. No bodies were recovered. Another theory is Alien Abduction. For true: I read that at the museum. 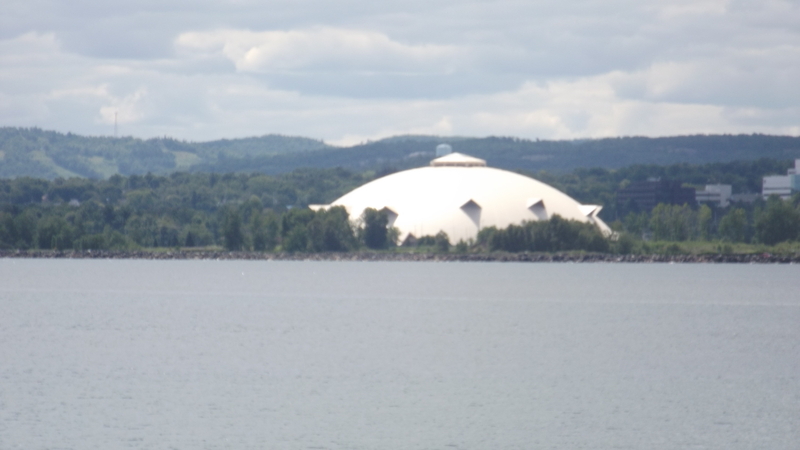 Here’s a shot of the Superior Dome where Northern Michigan U. plays its home football games. It’s the largest wooden domed stadium in the world. Locals call it the Yooper Dome. 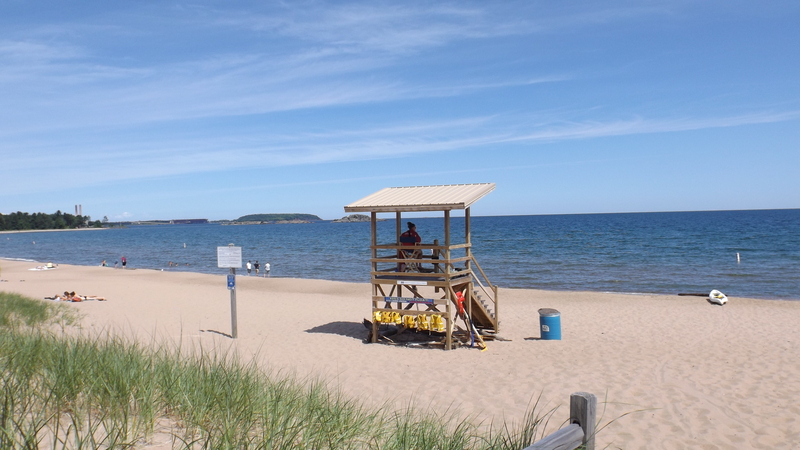 They call themselves Yoopers ‘cuz they reside in the UP (Upper Peninsula). They have their own regional accent rife with Finnish and German influence. It takes at least 300 words to describe it. Google “Yooper”. It will be worth it, if not for the sake of this blog, but for the sake of your own peace of mind.